My video of last November explained exactly what the issues are that this article now seeks to update what has transpired over the subsequent 4 months. Firstly, as noted in the video that the Zafira B I own is exhibiting high risk conditions of those observed by other owners, as the heating unit is malfunctioning and hence Vauxhall recommends that the heater is not used, which is pretty dire advice for the winter months, which effectively means driving with the windows open to prevent the windows from steaming up, never mind the cold, worse still are frosty mornings making Vauxhall Zafira's a true nightmare vehicle to drive! 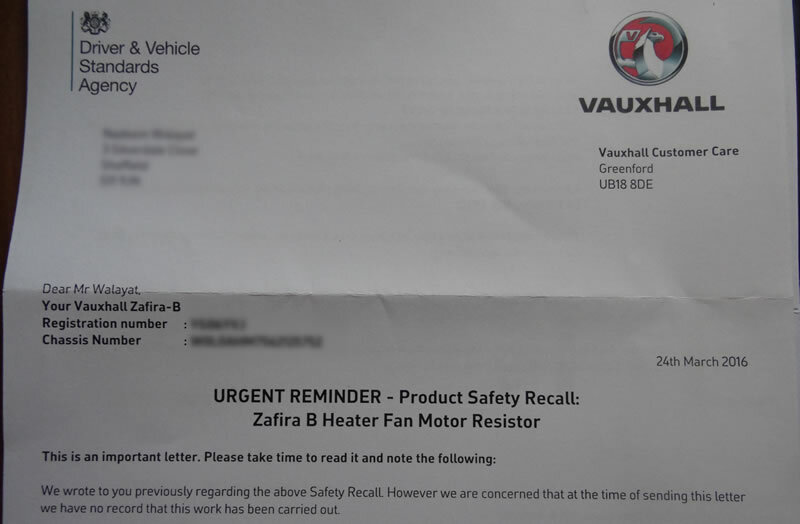 Anyway, eventually Vauxhall finally got around to sending a letter to contact a local dealership in February who would inspect and fix the failing heater unit before the car catches fire which in our case was the local Sheffield Pentagon Vauxhall dealership that had the option of booking inspections online. The whole process of booking online was pretty straight forward and with a date booked just 5 days in advance seeming to be every efficient and professional. However, it all turned out to be just an illusion as on the day I was booked to bring my Zafira into Pentagon Sheffield, I get a phone call in the morning that they wanted to reschedule the booking for another day as their online system is apparently not reliable. So I asked what the alternative date is expecting a week or so forward, instead the person informs me of a date 3 months forward! 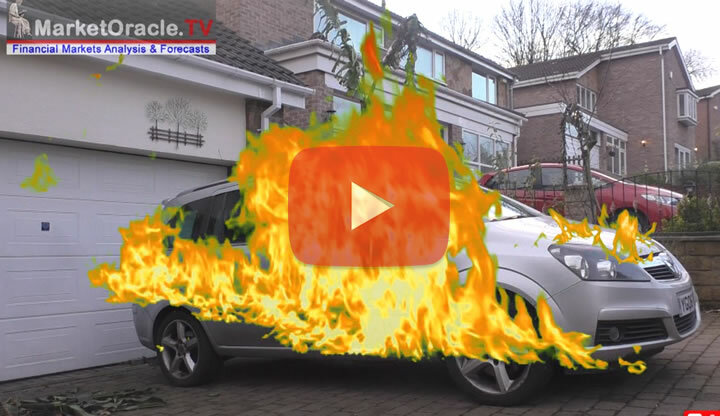 I explained that the Zafira already had an issue with it's heater and that it could catch fire as has been the experience of many Zafira owners, but Pentagon did not seemed to be bothered, after all the liability was with Vauxhall and not Pentagon. I even said that I was going to write an article about my negative experience, but again the person could not care less. So I was informed that someone would call me in 3 months time to confirm the booking which did not leave me with much confidence that anything was going to happen in 3 months time! In the meantime, a month later I received another URGENT letter from Vauxhall stating that records show that I have yet to have my Zafira inspected and that I urgently need to contact a Vauxhall dealer to have it inspected. We'll this illustrates that whilst Vauxhall may be in a panic to address this business destroying issue. Unfortunately it's dealerships such as Pentagon are taking a more laid back attitude, after all it's Vauxhall that is mostly taking the hit, so instead of sending reminders to Zafira B owners Vauxhall needs to take their dealerships to task, to get their fingers out and do the job that Vauxhall has tasked them to do in an orderly and efficient manner, else both Vauxhall and the dealerships LOSE! I'll keep you updated on what transpires as there are still about 7 weeks to go until Pentagons 3 month imposed delay is up. In the meantime it's a case of continuing to drive the Zafira with the heater off and the windows open (now into the fifth month! ), with fingers crossed it won't catch fire! The bottom line is that owning a Vauxhall and dealing with its dealerships such as Pentagon just leaves a bitter taste in ones mouth, NEVER AGAIN!